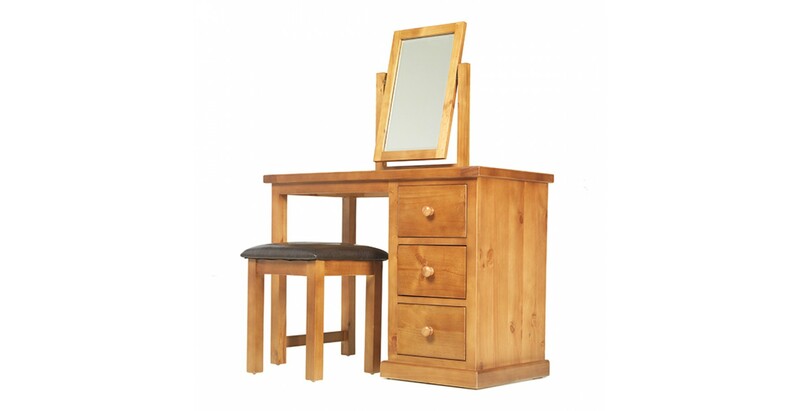 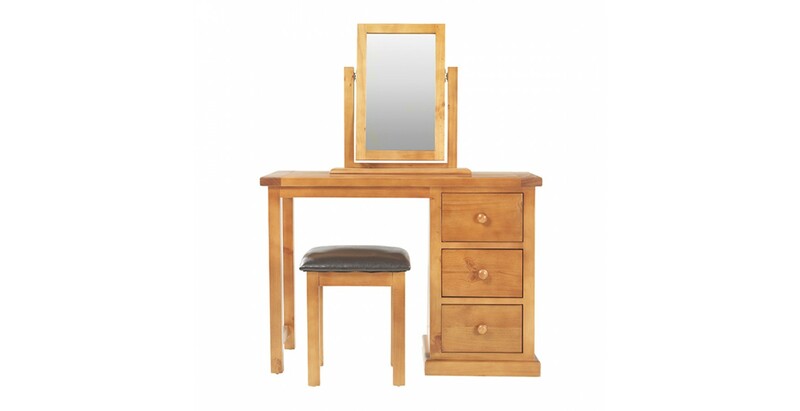 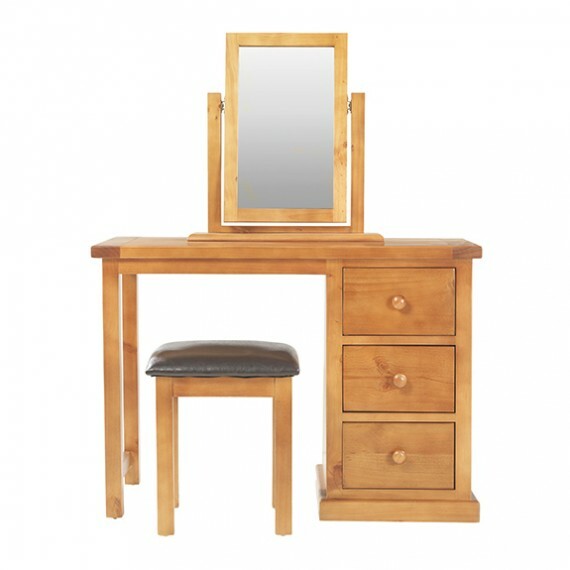 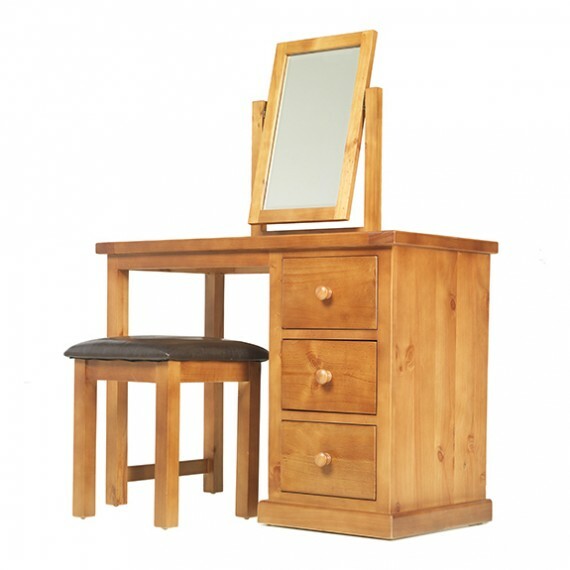 Warm country-style charms, contemporary elegance and sturdy construction ensure this beautifully made set will be the ideal space for getting ready in any bedroom. 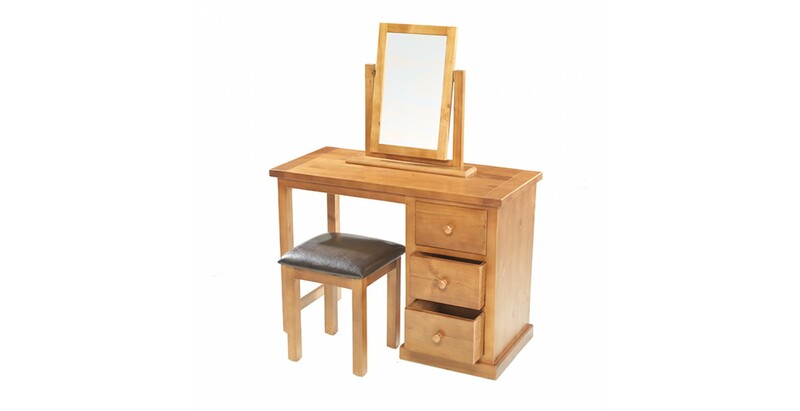 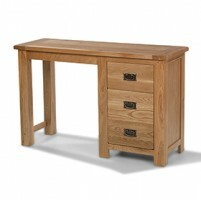 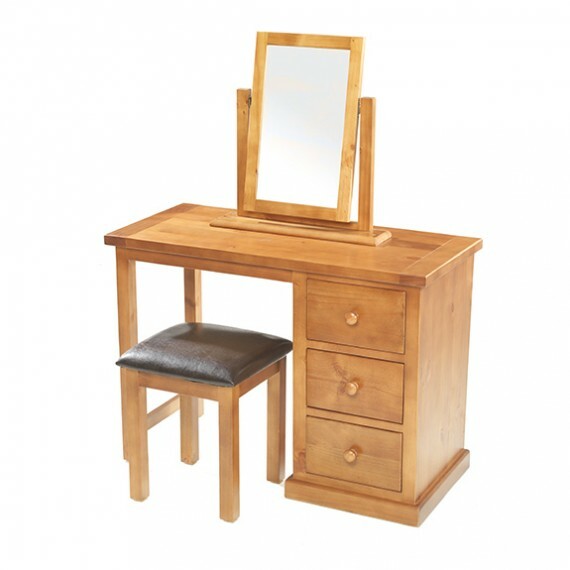 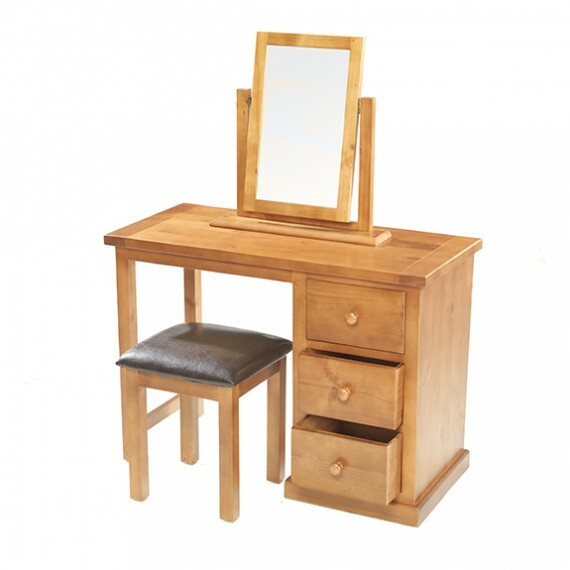 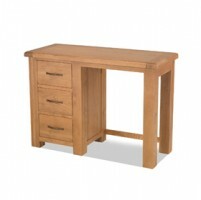 A 3-drawer dressing table, which could double-up as a desk when necessary, is joined by a tilting vanity mirror and a comfy stool with a padded leather seat. 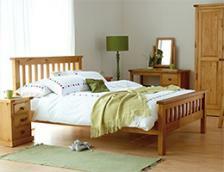 Expertly crafted from solid pine, stained a light oak colour and then finished off with a matt lacquer, its natural warmth, rich grain and timeless appearance ensure it will grace your bedroom for years.